Welcome back Bobcats! 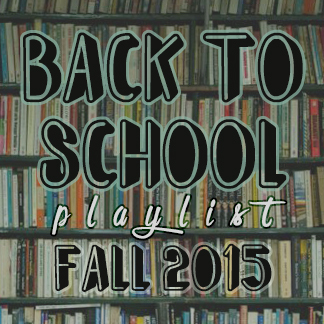 Check out this playlist of 15 tracks hand picked by your very own KTSW Fall 2015 Music staff. We’re just as excited as you are to kick of the new semester, so we picked out tracks perfect for those morning bus rides, breaks in between class, and late night study sessions. With back to school themed tracks from Matt and Kim, Mac Demarco, Disclosure, Odesza, and even Soulja Boy there’s something in this playlist for everyone. “Sea of Air” by Portugal. The Man: “”Sea of Air” reminds me of going back to school and getting back into the groove of things. If you think about it Texas State is our home away from home (for most); it’s our “little sea of air.” It’s in a sense, a paradox, because State is a huge campus but in a little town. Each part of school and San Marcos itself is so personal to each of us, it’s as if we create a field of energy (sea, air) around us. “We got the whole world hangin’ there…” But we’re lucky because we’re in our little sea of air! That bliss comes from the uniqueness and ridiculously high vibes that Texas State creates. Welcome back to school, welcome home, welcome back to your Sea of Air.” – Gabi Theard.